I was born in Tulane Hospital and spent the first few years of my life in New Orleans, before moving to a suburb of Philly. When it came time for the college search process, I was stressed out. I knew I had fallen for Tulane (and New Orleans), but felt conflicted by others’ expectations of me. 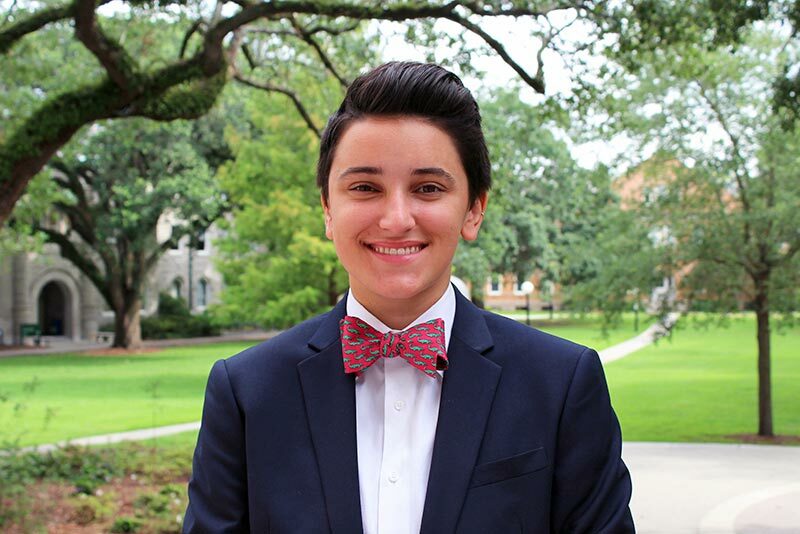 Once I started thinking for myself, I was reassured in my decision to go to Tulane, where I figured out what I cared about and who I wanted to be. I enjoyed studying Public Health, Spanish, and Psychology, but found true passion outside the classroom. Most of my time was spent engaging with new people, whether I was welcoming freshmen during New Student Orientation or working as an EMT. Tulane and New Orleans have a distinct personality, full of love and celebration and food. I genuinely believe there’s a place for everyone on campus and throughout the city. Please reach out to me if you have any questions about where you might fit in! Check out Corinne's favorite spots in New Orleans! The Rouses Supermarket on Baronne Street has a rooftop aquaponic garden that uses technology from a company founded by two former Tulane students.